It’s August and BOOM, triple digit heat is here. Do not give in to the temptation to lie around like a limp noodle, Go Go’ers. This is the season for hot summer fun. To review: limp noodleness out; hot summer fun in. Get it? Got it? Good. Now go go. If You Happen to Like Food and Wine…. Really, there is no weekend so busy that you can’t squeeze in some food and wine. And if you are, Ms. Go Go does not want to hear your sad excuses. Even time-challenged foodies will want to clear their calendars for The Los Angeles Food and Wine Festival, which stands out for the quality and quantity of participants: 100 Big Deal chefs and 200 wineries and breweries. Grabbing a bite is easy and good; the fest takes place over four days (August 9-12) in four L.A. locations (Santa Monica, Beverly Hills, Hollywood, DTLA) with all of the lunch, dinner, demo, event, and seminar options benefitting St. Vincent’s Meals on Wheels. Ms. Go Go knows you have time for a do-gooder sip and snack. On Thursday, Giada De Laurentiis’s Festa Italiana kicks off the long, delicious weekend; fest highlights include: I Heart Champagne and Caviar hosted on the rooftop of the Montage Beverly Hills by Lukshon’s Sang Yoon; the Indulge Dinner at the Fairmont, Santa Monica (with chefs from Melisse, Fig, Jiraffe, and Joe’s Restaurant); cooking demos by former Top Chef bad boys and bros Bryan and Michael Voltaggio; and “He Said, She Said” wine seminars with John Robinson and Master Sommelier Andrea Immer Robinson. Sadly, the $2000 per person Founders Dinner is sold out. 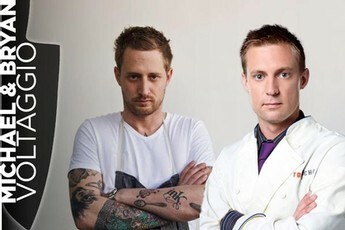 LOS ANGELES FOOD AND WINE FESTIVAL — Thurs, Aug 9 – Sun, Aug 12; $50-$500/21+ — Tickets and the full event lineup, including locations, at www.lafw.com. 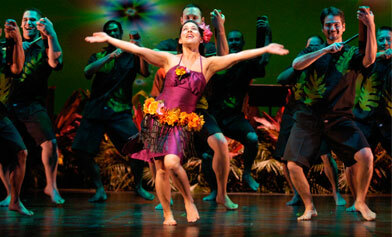 Is your idea of hula a lei, shaking hips, and a coconut bra? You should know that one of those things is unlikely to make an appearance Friday and Saturday nights when Nā Lei Hulu I Ka Wēkiu takes the Grand Performances stage. Ms. Go Go is not betting on coconut bras making an appearance. 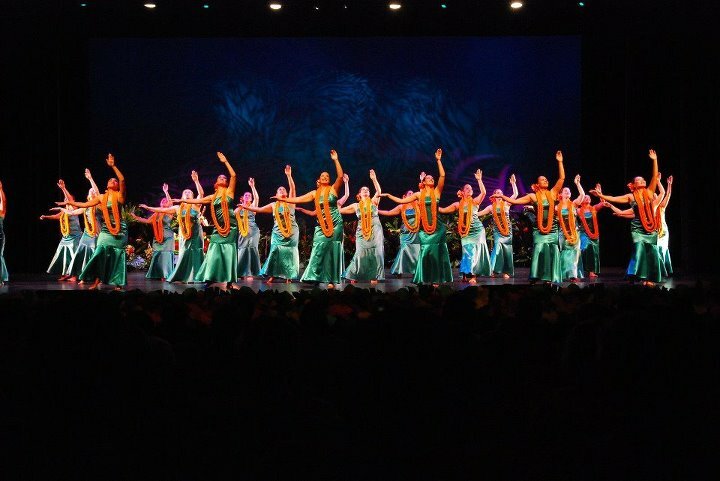 Raconteur Patrick Makuakane created hula mua (translation: hula that evolves) and also helms the San Francisco-based hula troupe, which incorporates opera, pop, and electronica into traditional Hawaiian dance for a show that’s as much spectacle as sway . The last time Nā Lei Hulu I Ka Wēkiu shook it like a Polaroid in L.A. was seven years ago so this weekend is your chance to finally scratch that Hawaiian itch. And like all Grand Performances, it’s free. This is one time when navel-gazing is encouraged. Twisted Mister Brian Tolley made these. If you’re a fan of outside art — your Popsicle stick frame collection routinely inspires gasps, for instance — you’ll definitely want to head to Future Studio Gallery this Saturday for the Mr. Twister Twisted Art Show. When most three-year-olds were banging Legos on the floor (and each other’s heads), Brian Tolley was making art out of white twist ties: the kind that clutter most people’s kitchen drawers. Yours too; Ms. Go Go knows. Brian’s creations turned into increasingly complex sculptures of monsters, food stuffs, and faux footwear, which will be on display at Future Studio Gallery as part of NELA 2nd Saturday Gallery Night. Think you can twist like Mr. Twister? During opening night, Future Studio proprietress Amy Inouye will provide twist ties for the curious and the dexterous. Twisty snacks like pretzels and Red Vines provided for the rest of us thumb-challenged admirers. 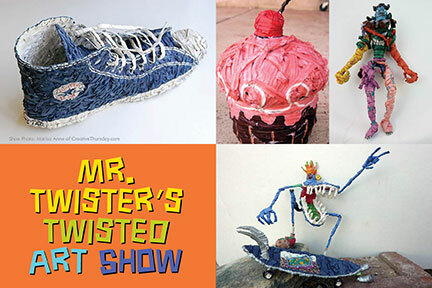 There’s a Mister Twister (Brian’s chosen moniker) documentary in the works and collectors have been snapping up the pieces at the Hollywood Farmer’s Market where Eagle Rock High Schooler Brian sells his work. Ms. Go Go will take a pound of rutabagas and a giant, pink cupcake, please. You’ll want to hear what these lips have to say…. Hot lips and air conditioning: it’s a win-win summer combo made even more appealing when the hot lips belong to cool writers, comedians, and performers telling tales that producer Wendy Hammers describes “hilarious and horrifying”. Case in point: Carlos Kotkin’s “Please God, Let it Be Herpes”. The Hot and Tasty Show: a Summertime Salon — a one-off that may morph into a monthly event — will feature Hammers plus pals Kotkin, Monica Piper,and Elizabeth Payne with musical stylings by singer/songwriter Eric Schwartz. Special Guest Stephen Toblowsky will share a story from his upcoming book The Dangerous Animals Club. Or as you call it, “Feeding Fido”. THE HOT AND TASTY SHOW — Sun, Aug 12 @ 7pm; advance tix $20; $25 @ door (plus two-item food or drink minimum) — Flappers Comedy Club Burbank, 102 E Magnolia, Burbank, 91502. http://www.comedycasting.com/h2fnew/index.php?pg=seats_page&id=8513 NOTE: Flappers Comedy Club is all ages but Hammers advises that the Hot and Tasty material might not interest teens under 14.